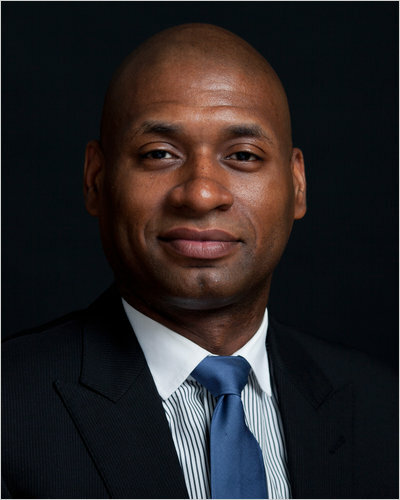 Charles M. Blow, trapped in regret-apology hypocrisy. Fortunately for him, his paper doesn't care. Among those who have defended the President in this way, I believe, is Charles M. Blow. Another is the New York Times’ “public editor, “ more about whom in a bit. 1. “Regret,” in this case, simply means that Blow wishes he hadn’t tweeted the Mormon slur, since, I hope, someone from the Times told him that this wasn’t doing his paper any good. He didn’t say he was sorry. 2. Even giving him the benefit of the doubt, Blow didn’t apologize for the tweet itself, which was unprofessional in its name-calling of Romney, as well as unjustified by anything Romney said during the debate. 3. “Btw” is an ungracious and intentionally offhand way of apologizing for something as serious as ridiculing a major U.S. church with millions of followers. If there was any lingering doubt in my mind that Blow is an arrogant jerk, this dispelled it. Meanwhile, the Times’ “public editor,” Arthur Brisbane, has announced that he won’t be writing about Blow’s conduct, meaning that the official position of the New York Times apparently is that a columnist can publicly denigrate a religion and crudely show his contempt for a candidate for office by name-calling without any consequences whatsoever. No? Is it that a liberal columnist can denigrate the religion of a Republican candidate? Or just Mormonism, but never Islam or Judaism? Or is it just that an African American columnist can denigrate religions and shrug it off with “btw” without consequences? I’m just asking for a clarification of standards here. What does the New York Times consider professional conduct? Are there different rules by race, party affiliation and religion under attack? Or doesn’t the Times care about standards and journalistic ethics? That would seem to be the message when the newspaper’s ethics watchdog doesn’t deem such an incident worthy of analysis. is that the case? And I want to know how the progressives and left-leaning journalists who actively look for opportunities to cry “Bigotry!” can refuse to criticize Blow and still maintain the myth of integrity, fairness, and objectivity. Blow’s tweet shouldn’t be a partisan issue: it was unequivocally wrong. If Blow’s fellow ideological camp-members want to demonstrate that they know what integrity is, they can begin by either admitting that President Obama has apologized around the world as they accept Blow’s “regret” as an apology, or they can agree that Blow did not in fact apologize for engaging in religious bigotry, and that this is acceptable to them….and the New York Times. It has to be one or the other, and we have a right to know which—unless, of course, the real answer is that fairness and consistency are subordinate to partisan combat. Jack, Jack. We don’t see this very often, but you’ve spelled Mormon incorrectly. I also spelled “Chapter” as “Cahpter”. I can misspell any word, any time, and never notice it no matter how often I check. I sometimes sign my name “Jcak” I am a worthless piece of slug offal. The typo, that is. I’m still a worthless piece of slug offal. Don’t be too hard on yourself, Jack! That’s it. One curse for all the ages. I remember an article about this when I was in college. In analyzing how the news media treated different races, they came up with the PC Hierarchy. Anyone higher on the hierarchy can criticize or be insensitive to anyone below them. If there is a conflict between two groups, the one higher on the PC scale is assumed to be right. *Native Americans only count when they are being represented by a White Liberal. Since they keep referring to themselves as Indians, they aren’t enlightened enough to speak for themselves. **White people only refers to white conservatives. White liberals are always right and are never prejudiced unless it is in a good way. This was presented as tongue-in-cheek, but there was a good ring of truth to it if you looked at the way events were portrayed in the media. In that same spirit, I present the “PC Hierarchy of Religion”s. Based on what I have seen in the media, I would assume the NY Times’ response to your question about who can question what would be somewhere along these lines (if they were being truthful). ‘Spirituality’, Neopaganism, Wiccan, Satanist- are counterculture beliefs and tend to aggravate more traditional beliefs, so should be encouraged, but secretly it is OK to make fun of them if you are an athiest. Buddhism, Shinto, Hindu, and other ‘Eastern’ religions- are believed by Eastern peoples who tend to have darker skin than white people, making them more PC. Islam – Is generally against western culture and ideals, so deserves support from liberals. Be careful never to criticize Islam though, it could be dangerous. Judaism- It is PC to support Judaism against Christians whenever possible, but many Jews are pretty conservative and vote Republican, so it isn’t a good idea to support them too much. Always side with ‘Palistine’ against Israel, but not against any other Middle-Eastern country. Mormons – They are just above Christianity because they were persecuted by US society for awhile. OK, they were persecuted because of the polygamy thing and the racist stuff, but we can ignore all that when it allows us to beat up on Christianity. In all other cases, they need to be criticized because they vote Republican a lot. Christianity* – I just plain evil. It is believed by many people who vote Republican. It is the reason the US is the only country in the world where the working poor vote conservative. Many traditional beliefs in American culture are rooted in Christianity, so it must be subverted at every turn. Its adherents should be portrayed as stupid, racist, homophobic, and sexist whenever possible. Unlike Islam, it is OK to do so because Christians usually just write nasty letters or engage in a peaceful protest if antagonized. *It is OK to be Catholic, as long as you don’t REALLY believe in anything the Catholic church stands for or believes. Before anyone gets all outraged, I never said this is what I believe. This is just how the liberal news outlets (such as the NY Times) seem to treat religion. It may not be what they actually believe, but it sure seems like it from where I sit. If this makes you angry, sit down and listen to how different religions are treated in the media. What groups are shown as ‘normal’ for each one? Every Muslim shown on the news is a model citizen and a wonderful person, yet will they publish a cartoon critical of Islam? Half of the coverage of Christianity is the Westboro Baptist Church and “Some Guy with Six Followers who Burned a Koran” and crosses soaked in urine is celebrated as high art. Beautiful…great job. I wish I could write like you/get my message across like you. You make my heart soar like a hawk. Jack, the answer to your questions in the paragraph beginning “Meanwhile, the Times’ “public editor,” Arthur Brisbane…” are likely to all be “yes,” although the Times will not be telling you that. Or me, or anyone outside their inner circle. What have we really learned about this sort of commentary over the years? Nothing, in general, if not that “political correctness” always rules the day, and political correctness is manifestly and universally tilted to one side or the other of a given debate. What is a firing offense for one ethic or religious group is at the very worst a minor boo-boo for others. No, the Times will never admit to you, me, or anyone else that some religions, races, candidates and speech are more equal than others when it comes to rhetorical treatment. Nor will they explain to you that offhand, pro forma “regret” from some is far superior, in their judgment, to sincere, abject abasement from others. But as Walter Cronkite used to say at the end of his broadcasts, “And That’s the way it is…” But thanks for helping make that even more clear than it already is. If only Obama had merely “regretted” those pseudo-Korans being burned! You see, I don’t see a genuine distinction. That’s what I was arguing about with several commenters after the earlier post about the Times’ ombudsman taking it as a “fact” that the President hadn’t apologized for America around the world. Using “regret” is just a weasel way of getting credit for an apology while being able to deny it afterwards. If someone calls me up and says, “Jack, I really regret calling you a jackass .yesterday, I’m taking it as an apology. I’m not going to ask, “But are you really SORRY?” I’m sick of apologies you have to decode to figure out if its a trick or not.Blow’s, for example, is like this. It signals that it is entirely dishonest. If it comes from Obama, it’ll automatically be registered as that in any case. Business as usual. At least he wouldn’t be making a long, abject apology for the entire nation. And, on the subject of apologies, it’s time to demand a few of Karzai. Of course, they’d be just as weaselly, if forthcoming.